STALKING JACK THE RIPPER is going to be available in mass market paperback editions! AND THEY’VE GOT FUN COVERS FOR THEM! i’m so thrilled to share this story with the adult market and a whole new set of readers. now, no matter what your reading preference is, there’ll be a version for you. SJTR is available in Hardcover, trade paperbacks, ebooks, audio cds, iBooks, audible, and mass market paperbacks (as of April). pinch me, please. so…what does this have to do with the MEETING THOMAS CRESSWELL novella? Thomas’s story will be included as bonus content! i’ve had daily messages and emails from people who’ve either read it and wanted to own it in print form, or readers who missed out on the HUNTING PRINCE DRACULA preorder giveaway altogether, and i’ve been eager to find some way to make those requests happen. including it in SJTR was the best solution since it’s a prequel to the opening of that story. it details what Thomas was doing the night he met Audrey Rose, and proceeds to tell the story through his deductive lens for the first few chapters. i had such a blast writing from his POV and hope that you enjoy reading it as much! mass market versions aren’t very common for YA books, and i’m infinitely grateful for all of the love and support this series has gotten from both readers and my publisher. thank you a thousand, million times. ahhhhh! two weeks until publication! Hello friends! i can hardly believe that publication day is just TWO WEEKS from now. OMGGGGGGGG. seriously. how is my book going to be in the world so soon??? i know i’m going to be a teary bucket of emotions come the 20th. the first five chapters are up for preview thanks to JIMMY Patterson Books! if you’d like to sink your teeth into those to hold you over, please do so by clicking the link here. JIMMY Patterson Books is also giving away 5 copies of the hard cover over on goodreads! Please click here to enter the contest. personalized/signed pre-orders: Books of Wonder will be shipping internationally, so if you’d like to order a personalized copy, please do so by the 24th of September. lastly, here is a picture of me holding my book for the very first time. i think my expression says it all…HOLY WOW. thank you to everyone who’s pre-ordered, shouted from the rooftops, and asked their libraries to order STALKING JACK THE RIPPER. you are so appreciated. 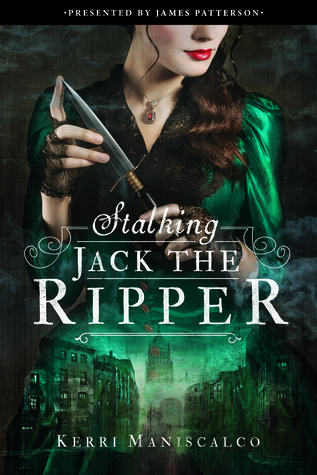 I’ve gotten quite a few questions on where/how to order a signed or personalized copy of STALKING JACK THE RIPPER (omg, thank you, thank you, thank you!!!!) and thought it might help to post something here for easy reference. Here are a list of stores that will have signed stock/pre-orders available to be personalized with your name and mailed out to you. They suggest ordering yours AT LEAST 48 hours prior to the event, so please keep that in mind. International orders are also available for sure through Books of Wonder, but please check other locations as well. Thank you again for all of your excitement over the launch event and tour. I’m so excited to sign books for you and hope you enjoy STALKING JACK THE RIPPER on a cool fall night.